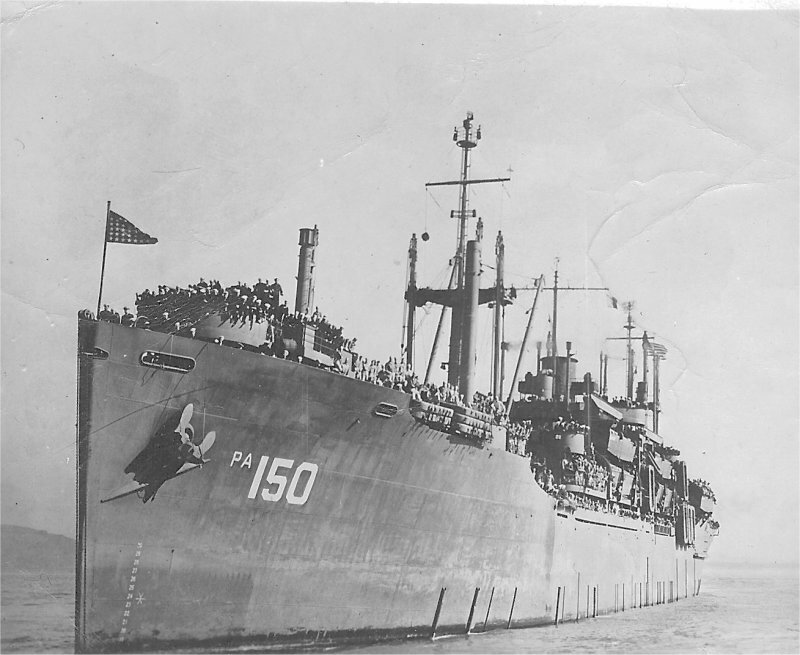 Laid down, 25 October 1944, as a Maritime Commission hull type (VC2-S-AP5) under Maritime Commission contract (MCV hull 815) at Kaiser Shipbuilding Co. Inc. Vancouver, WA. Acquired from the Maritime Commission by the Navy 22 December 1944, Astoria, OR. Returned to the War Shipping Administration, 26 April 1946, for lay up in the National Defense Reserve Fleet, James River, Lee Hall, VA.